The mystartupXX program, a collaboration of the Rady School of Management at UC San Diego and the von Liebig Entrepreneurism Center at the UC San Diego Jacobs School of Engineering is pleased to announce it has been chosen as the recipient of a $50,000 grant from the U.S. Small Business Association (SBA). The announcement was made at the Rady School by SBA Administrator, and Obama Administration Cabinet member, Maria Contreras-Sweet. The mystartupXX program is one of 50 winners of the Growth Accelerator Fund competition sponsored by the SBA. The competition, in its first year, was extremely competitive and attracted 800 applications from across the country. Finalists were reviewed by a panel of experts in entrepreneurship, investing and business plans from both within the government and the private sector. The competition was created to draw attention and invest in parts of the country where there are gaps in the entrepreneurial ecosystem. The mystartupXX program’s mission is to nurture the next generation of female founder and female-led technology startups through mentorship, education and funding. 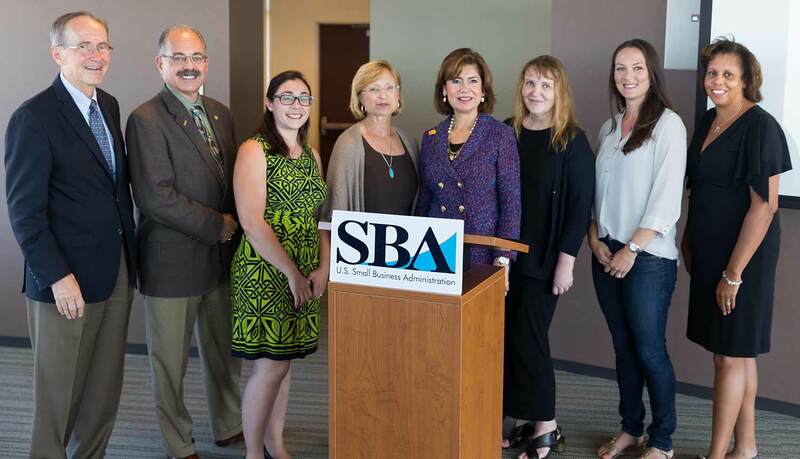 “The generous grant from the SBA, will enable mystartupXX to provide a new group of female entrepreneurs with the instruction, funding and mentorship they need to succeed,” said Lada Rasochova, executive director of the California Institute for Innovation and Development at the Rady School of Management and mystartupXX program co-director. Since its founding in 2011, the mystartupXX program has graduated two cohorts of female entrepreneurs, with six startups created, more than $2.6 million raised by startups, over 130 jobs created, and several products on the market. Two of the mystartupXX program’s startups were admitted to prestigious accelerators and one startup won the Quick Pitch competition sponsored by the Tech Coast Angels, the largest angel investor network in the U.S.